Your overall eye and visual health is important at every age, but the aging process can negatively impact that health. 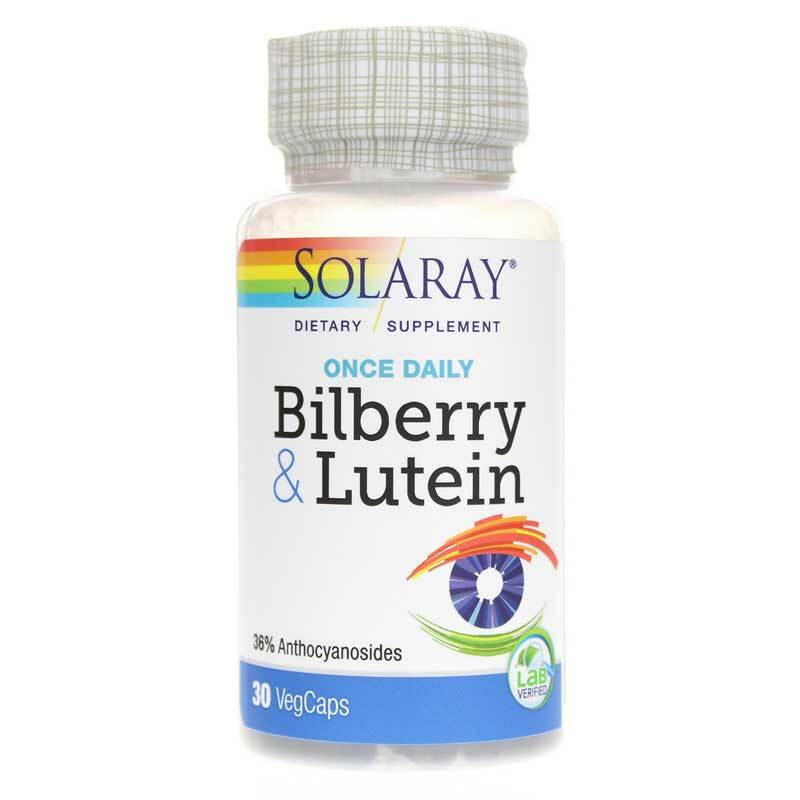 Make the choice to keep your eyes healthy, and try Bilberry & Lutein One Daily from Solaray. Packed with herbal ingredients known to help support eye health, it's the ideal natural supplement for daily use. 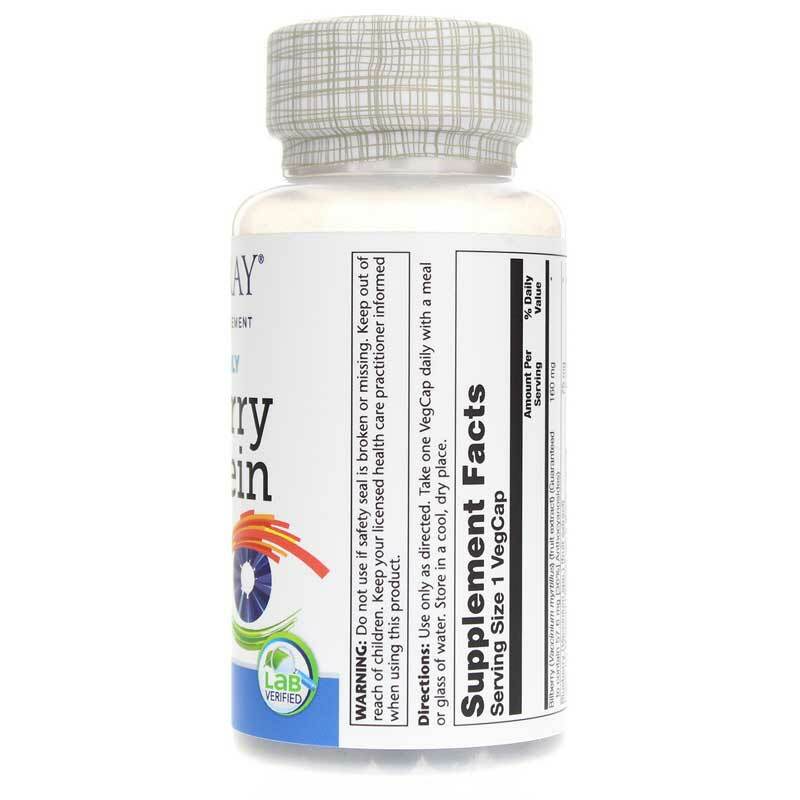 Bilberry & Lutein One Daily from Solaray comes in an easy-to-swallow capsule form that is a convenient once-daily formula. Keep your eyes healthy and give it a try today! Other Ingredients: cellulose, vegetable cellulose capsule, gum arabic, magnesium stearate, water and silica. Adults: Use only as directed. 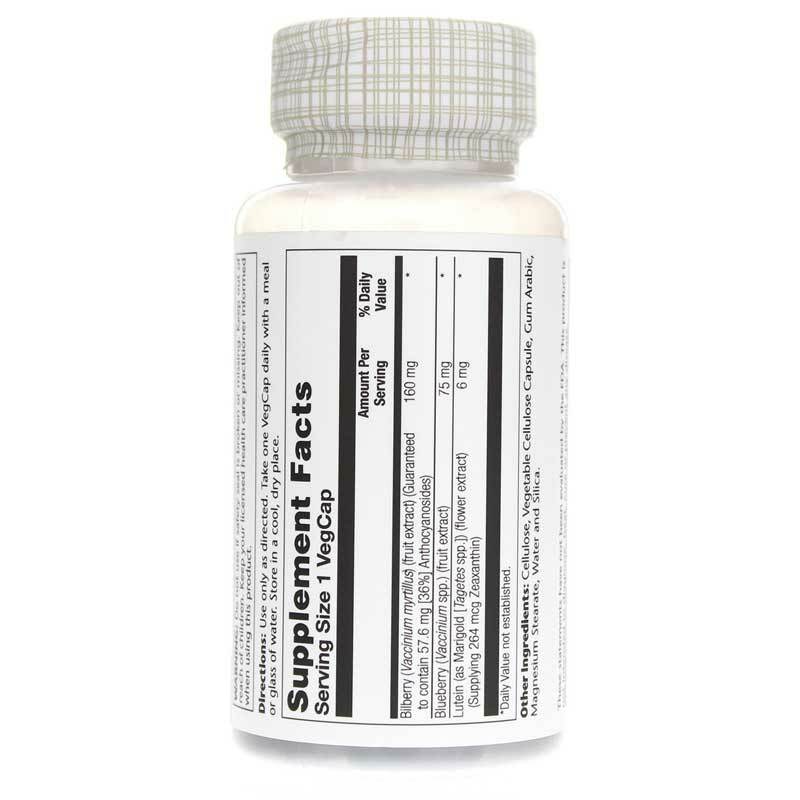 Take one vegetarian capsule daily with a meal or glass of water. Feel pretty good so far taking it. Will give it a few more months.